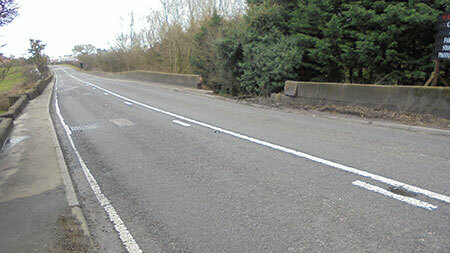 The A41 at Golborne Bridge, Milton Green will be closed overnight from Saturday 7 April for up to 10 days. 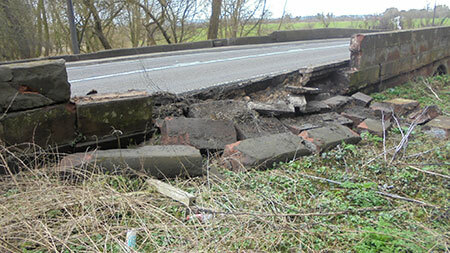 The closure is needed to carry out essential repairs to a section of damaged sandstone wall and the edge of road by the bridge. The road will be closed around 50 metres either side of the bridge between 9pm and 6am. There will be a signed diversion towards Wrexham via the A534, A5156, A483, A55 and A41. Currently the lane next to the damage is closed off with two way traffic lights.